Our own Dr. Melissa Burt, director of a Research Experiences for Undergraduates (REU) program at Colorado State University, presented a new webinar about how to apply for summer internships and REUs and how to navigate career fairs. Opportunities for summer 2018 are being announced now and application deadlines are typically in February, so this is the perfect time to learn about what opportunities are available to you! What can I expect in a summer research experience? Click here to watch Dr. Burt’s presentation that is approximately 32 minutes long in a new tab. Please note that the sound begins at 16:25, and the actual presentation begins at 18:30! Please email Melissa, Ilana, or Elaine if you have any questions (Melissa’s email address is given toward the end of the video). We’re always happy to help! Please note that the sound begins at 16:25, and the actual presentation begins at 18:30! Click here to watch Dr. Tankersley’s presentation that is approximately 90 minutes long on YouTube in a new tab. The webinar is located here on YouTube. Dr. Manda Adams, Program Director at the National Science Foundation (NSF) in Washington, D.C. and a PROGRESS team member, led a webinar on Tuesday, 28 February 2017 about building and optimizing your resume. 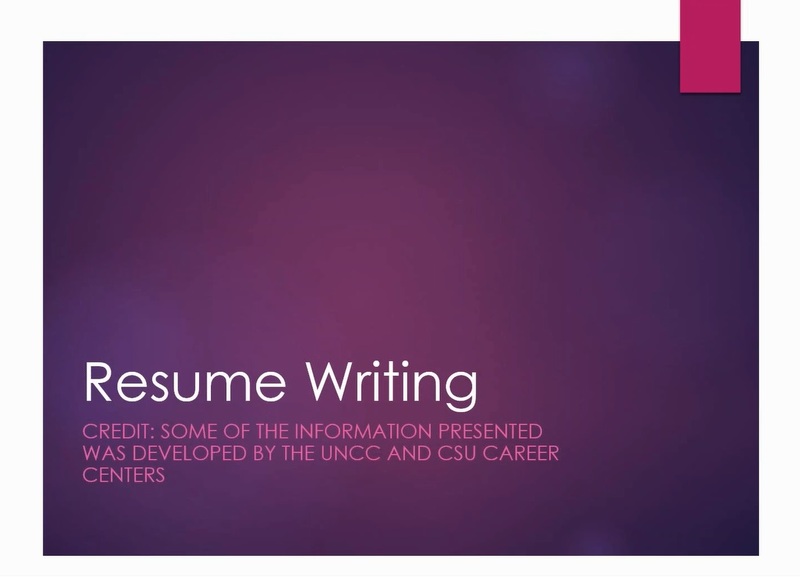 In this webinar she discussed how to identify and market your skill set, appropriate language and content, how to leverage part-time jobs, extra-curricular activities, and classes taken to build a resume that stands out, how to tailor your resume or CV to the job/opportunity you are applying for, how to format your resume or CV, tips on what to include in a resume versus a cover letter, and we had time to answer some student questions! Click here to watch Dr. Adams’s presentation that is approximately 54 minutes long in a new tab. Dr. Melissa Burt, director of an REU (Research Experience for Undergraduates) program at Colorado State University and a PROGRESS team member, led a webinar on Friday 20 January 2017 about how to apply for REU programs. 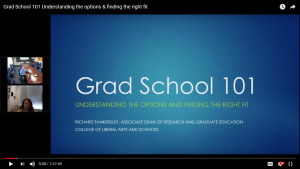 In this webinar we discussed the types of research opportunities available to students, what to expect during a summer research experience, and how to put together a strong and convincing application package. We shared information about a range of different programs across the country and had time to answer any questions. Click here to watch Dr. Burt’s presentation that is approximately 30 minutes long in a new tab, or click the video at right.